Spear fishing is another fishing technique used here in the Philippine that has been round a long time. Filipinos spearfish in both fresh and saltwater using different types of guns and spears. Sling Spear – The most basic spear fishing devices used around the country are what are known in the west as a Pole Spears and Sling Spears. They both employ rubber to sling a spear from hand to impale a fish. The difference between the two is that the pole spear is simply a stainless spear with the rubber tied to the end while the sling spear employs the use of a hand-held sling shot in order to launch the spear. Both have limited range and are generally used at night when the fish stay more or less motionless around the reefs and rocks. Spearguns – The more technically minded fishermen usually build their own guns which range in complexity from very basic and somewhat dangerous guns to very nice well built guns that are capable of handling large fish and with good accuracy and distance. Typically the smallest guns are used in freshwater in streams and lakes, whereas the larger guns are used in the ocean. 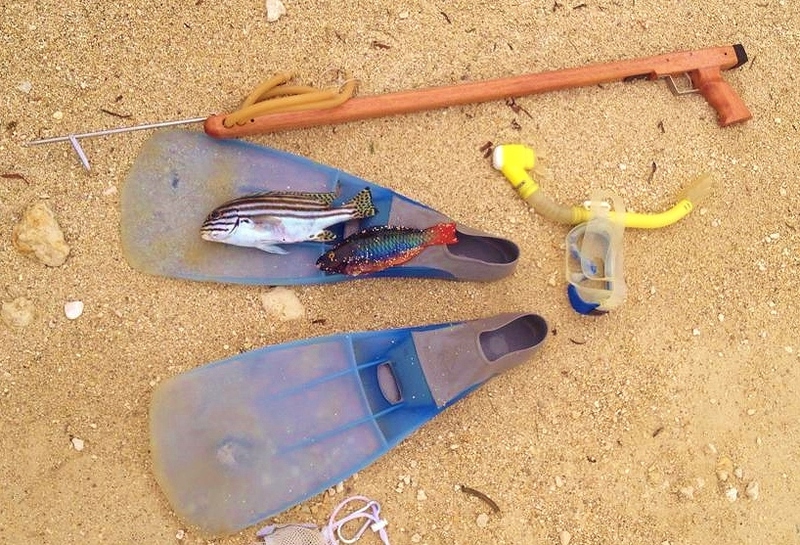 Guns that used for daytime spearfishing are called “pang adlaw” (for Day) guns and are long guns with powerful bands to be able to hit skittish fish that flee fishermen in the day. The guns used for night fishing are generally shorter and more maneuverable because the fish move a lot less at night. 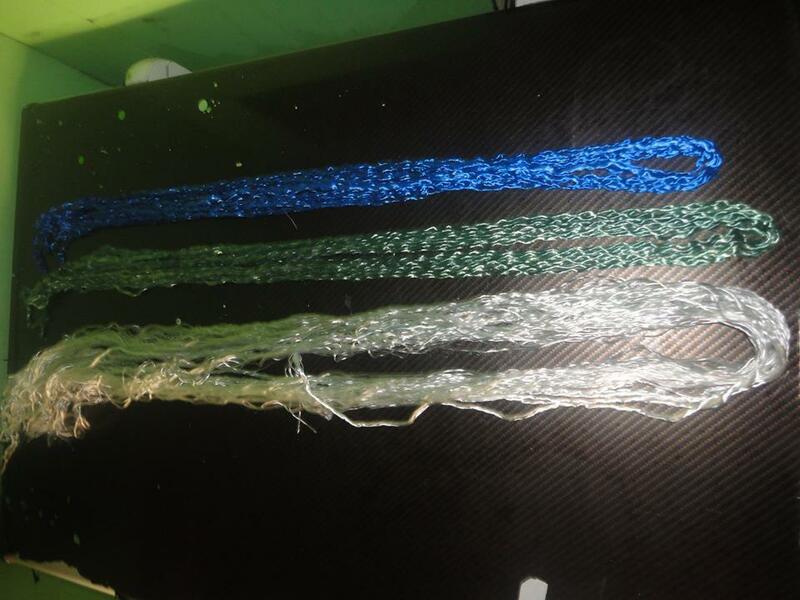 Rubber – Local spearfishermen have a couple limited options for rubber for their guns. First there is rectangular rubber strips available at hardware or fishing supply shops. This rubber works but is not uniform in size and is quite hard to rig. Another options that is used by fishermen that are more concerned with cost is bicycle tire tube. They cut the tube into strips and fasten them to the guns. More recently, latex rubber tube has become available and many fishermen are switching to this type of rubber. Badjao – The Badjao, also known as Sama people and Sea Gypsies, are well known for their skill of spearfishing. The often use large guns and a hunt larger fish around the reefs with small boats. A diver will spot fish and the boat and diver will stalk the fish until it tires. The divers then free dive down and spear the fish. 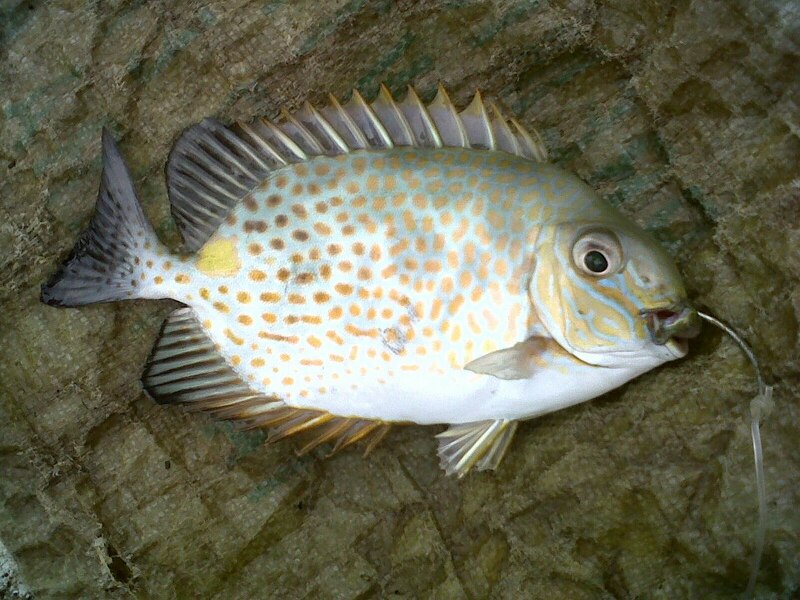 Notes: Rabbitfish tend to feed all day and so can be caught regardless of tide and moon.